Moving out can be almost as hectic as moving into the dorms and apartments. 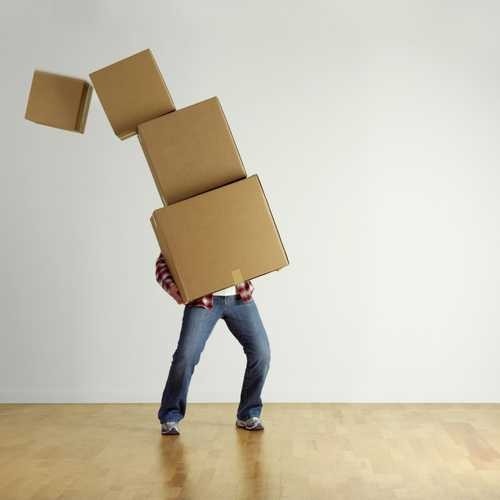 You are typically assigned a move out time to keep the flow smooth. It did not make sense for us to drag the entire dorm supplies home for the summer, only to send them back up in the fall. We opted to have her rent an air-conditioned storage facility with friends. You may be lucky in that your student may have a friend that will let them store their belongings in their apartment but that is unusual. She was able to move her belongings into storage herself by getting boxes and packing up her dorm. There were items that she no longer needed (nor did we want). Most dorms collect these items in a common area and donate them to a local community collection organization. If it is in decent shape, then it does feel good to lend a helping hand. Some students can recruit friends to help them move. You may want to go up yourself if they are moving out of a dorm and you feel they will need the additional help. Move out dates and further information may be found here. UF has partnered with Storage on Demand which provides free boxes and other packing materials and schedules pick up and storage for students and return of your belongings. There are other companies that service UF including DormRoommovers. They too will drop off boxes, pick them up and store them and then redeliver in the fall. Another option is CollegeBoxes . College boxes charges for supply kits or you may supply your own. You pack and label your belongings for either storage or shipping and they pick it up for free depending on the dates corresponding with the school’s calendar. For UF, the pick up date is Friday, May 4th from 10am – 4 pm so if you are going to use this company, this is the only date they pick up for free. Same on the delivery; the only free day to have it delivered to your room is Sunday, August 19th from 10 am- 4 pm. If your student is moving out of an apartment or subletting their apartment, you may need to pay a moving company if furniture is involved. This is, by far, the more expensive way to go. Unfortunately, we had no choice but to use this method as my younger daughter had purchased used furniture for her apartment for the following year and needed a place to store the furniture. We went with UF Mover Guys. While a bit on the pricier side, they were professional, efficient and thorough. They notified me each time they picked up from location and contacted me when delivering the furniture to her apartment in August, arriving earlier than anticipated. For incoming freshman starting in the summer, your student has the option to keep the same dorm room for the fall so they do not have to worry about moving out after six weeks. The dorm selections are limited and you will want to make certain it is a residence hall your student wants to stay in for Summer B/Fall/Spring.